Why are we the top landscape lighting installation company in Boca? We provide world class landscape lighting for your outdoor space. When the sun goes down, the lights come out! While your neighbors fade away with dusk, your property will come to life! Residences and commercial buildings around Boca love using Apollo Dock and Landscape Lighting in Boca Raton to bring color and elegance to nightlife. Whether it’s a house party or a relaxing night lounging around the pool, our lighting designs are the best in town to have you entertaining till dawn! Since our landscape lighting designs are all installed with LEDs and low voltage wires, don't fret about increased power bills or runnging your light all night long! Our professional landscape lighting design team can take any home or business and turn it into a work of art glowing during the night. Each property we do is individually designed to maximize ambience & security. Not only do we create a wonderful landscape lighting design but we automate it all for you to! With the press of the button light up your entire outdoor area! Let us ignite your night! Our dock lighting experts can deisgn lighting specific to your dock that will accomodate exactly what you want. Dock lighting is an exceptional addition to any home that will provide enjoyment for evening entertainment. Dock lighting is crucial for fishermen who return a little later than the wife asked and need to clean up quick! Impress the nieghbors & wow the kids with underwater dock lighting! Under water dock lights attract fish and will give you a reason to go out and sit on the dock. The LED lighting we install lasts on average 50,000 hours of use - which equates to roughly 15 years of use! We also offer fully controllable RGB LEDs - choose your color and enjoy! Not only do we install the best landscape lighting designs in Boca, but we give you full control of your lights. With the push of a button, change the timings with the change of season. Later night than usual in the backyard? One press and the light will continue glistening throughout the evening! Residential outdoor lighting in Boca has never been easier! Your friends, family, and neighbors will be impressed by the light show that is your outdoor landscaping. With tons of landscape lights, designs, and styles, your options are only limited to your imagination. Our design specialists will work with you to give your outdoor landscape a pristine light design. Our commercial landscape lighting designs are also highly coveted in the Boca Raton area. With high quality products and customized designs, our landscape lights is protected from the outdoor elements so that your light fixture maximizes your investment in landscape improvement. 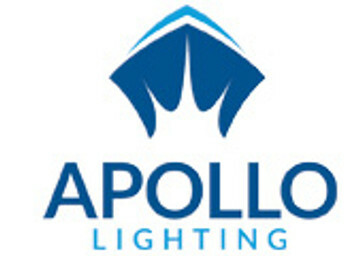 At Apollo Dock & Landscape Lighting we offer a solutiong to commercial outdoor lighting. Protecting your commercial property investment is crucial to continued growth in your cash throw off. Installing landscape lighting can increase property values and offer protection from falling guests tripping in low light. We have a huge variety of outdoor lighting installations and would be happy to customize one specific to your properties needs. If you have an older outdoor lighting system in Boca and are thinking of doing maintenance or upgrading entirely, shoot us a call! We can help to tell you if your current system can be used or if you really are better off in the long run doing a new landscape lighting design installation. We are happy to repair any lights that seems to not be running in tip top shape! Because Apollo Dock & Landscape Lighting uses only the highest quality LEDs available, our systems last an average of 50,000 hours which is roughly more than 11 year! Pretty cool, huh? "The best landscape lighting company around! We love what apollo did to bring out the architecture in our home. Thanks guys!" "Jack at Apollo Dock & Landscape Lighting did an amazing job on our home. Now when we come home the driveway and palm tree glisten in the night and it gives me a nice sense of security. " "Dock lighting was the best decision we ever made! It allows us to actually go out and sit on our dock and enjoy. The fish swimming around are pretty sweet to! " Conveniently located in east Boca, Apollo Dock & Landscape Lighting offers outdoor lighting installation in Palm Beach. We can services the entire county, so do not hesitate to call us if you are located in Delray Beach, West Palm beach or further north! Having served the Boca Raton community for over 10 years, we have established a reputation as the go to outdoor lighting company for custom LED lighting designs and services.